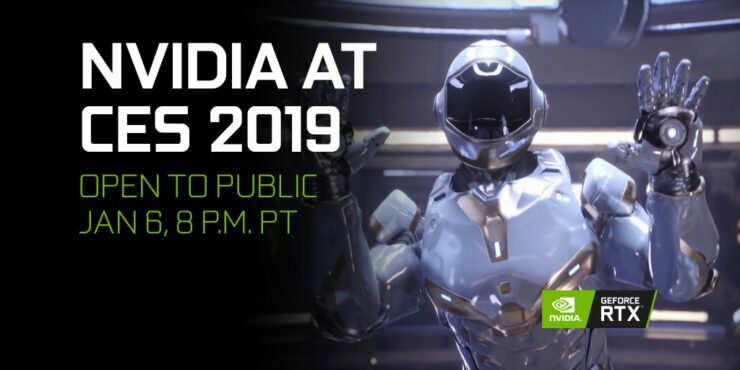 NVIDIA is officially kicking off CES 2019 with a new press event which will be taking place today at the MGM Grand Conference Center in Las Vegas. The opening keynote will be delivered by the CEO of NVIDIA, Jensen Huang, at 8 PM (Pacific Time) and we can expect loads of new announcements, especially gaming stuff, by the graphics industry juggernaut. The NVIDIA GeForce page has been particularly active in tweeting this event which means that we can probably expect some sort of gaming-oriented announcements. NVIDIA already has a landing page for the event and a stream (currently offline) which will start once the event begins. The main surprise of the event could be a new graphics card or a new lineup of mobility parts which were rumored days ago from this event. It is further made obvious by the GeForce RTX labeling on the pictures being used for the event. We may see the GeForce RTX 2060 along with several mobility parts launch at the event but there may be more surprises in Jensen’s pockets since this is a consumer-targeted event. We definitely can’t wait to see what NVIDIA has for the consumer market and especially the budget and mainstream users who would love to have the GeForce RTX tier graphics cards for reasonable prices. NVIDIA’s GeForce RTX lineup currently falls above the $500 US price range and the GeForce RTX 2060 is expected to be around $349 US while retaining the ray tracing features that the higher end series has to offer. We will keep you posted for when the event goes live and till then, let us know what you think NVIDIA will be unveiling at their CES 2019 event in the comments below. 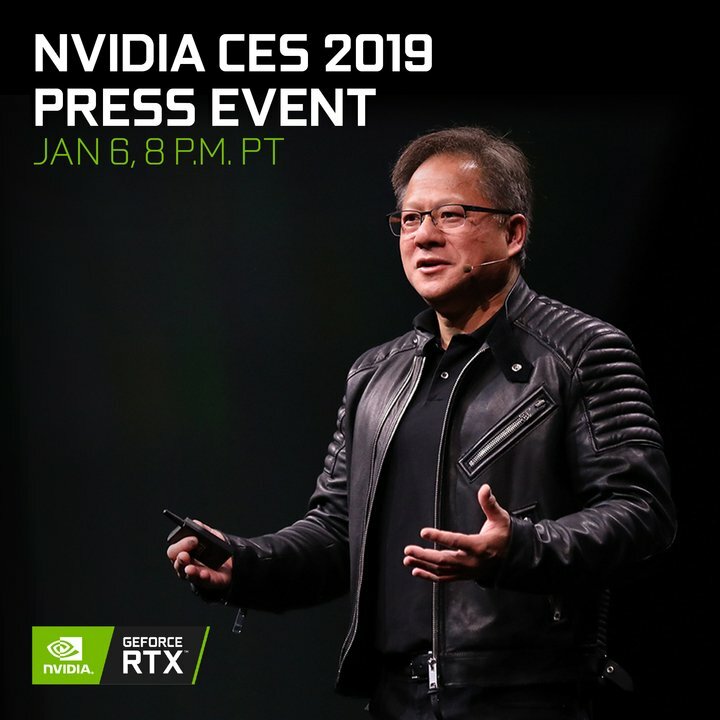 What do you think NVIDIA will announce at their CES 2019 Press Event?